Consumer debt is steadily rising the past few years. This is an indication that people are more confident with their financial position. After all, you will not borrow money if you know that you cannot pay it back. With everything that we went through during the Great Recession, we know that too much debt can be destructive if your finances are not stable. But if your finances are secure and stable, you know that debt can be used to your advantage without it destroying your life. At least, as long as you can manage it well. According to the data from Investors.com, there is a solid gain when it comes to consumer credit. If you do not include mortgages, the debt amount actually rose by $10.5 billion in January of this year. This was taken from the data of the Federal Reserve. Despite this huge increase, credit card debt experienced a decrease. In January, it fell by $1.1 billion. You may think that this should not be a problem – since credit card debt is notorious for high-interest rates. But some experts are showing their concern because the lack of credit card use could be a sign of financial trouble in the average American’s house. If people are hesitant to spend more, this might reflect badly in on the national economy. There are a couple of assumptions that we can make if the consumer debt is not caused by credit card debt. The first is the assumption that people are using cash for their purchases. This is probably the most positive scenario because consumer spending is still high but credit use is not. With an economy that is reliant on consumer spending, the lack of credit card debt should not be a threat if people are buying as usual – only, they are doing it with cash. The second scenario is that people use their credit card but they are paying down their balance at the end of each month. This is still a great scenario because consumer spending is not sacrificed and the credit score of the consumer is not compromised either. The third scenario is people not using their credit card because they are not buying anything. This is the scary scenario. If people are not buying, it tells us that there is an underlying problem. People are not as confident as we think with their money and they are scared to let it go because of an impending crisis that they see in the future. All of these can be assumed if the credit card debt is not driving the consumer debt up. But is this really all that we should be scared of? Is there nothing else to be concerned with? 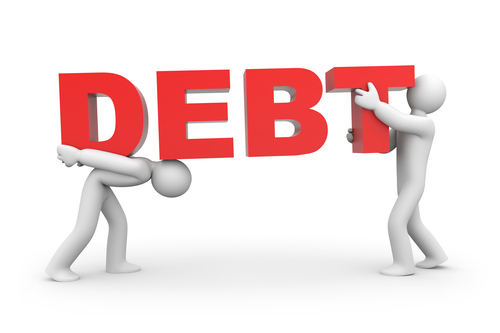 What debts are increasing this year? According to the data from the Investors website, the growth of debt is being driven by two types of credit: student loans and car loans. Non-revolving credit is observed to have increased by $11.6 billion in January. In December, the growth was small – only $916 million. The increase is quite significant after 2016 came around. Car loans have increased and monthly payments have seen longer maturities. Let us take a look at the two factors driving up the consumer debt in America. Seeing student loans as one of the debts with a high increase is not really a big shock. This debt had been causing a stir in the past few years. It is consistently in the headlines, being discussed by politicians and is steadily causing the average American household a headache. According to FoxBusiness.com, the cost of college will continue to increase each year. College tuition is considered to be the fastest rising expense in the American household. It is expected that by 2033, the cost to attend a private college will be $102,086 while the cost to go to a public institution will cost $45,589. These costs include tuition, fees and the room and board – the basic needs of a college student. This is a hefty amount for a high school graduate to face. If parents cannot prepare for this expense, their kids will be forced to rely on student loans to finance their education. The choice will be between a lifetime of earning a low income or starting your adult life with huge amounts of debt. The two are not really good choices to begin with. If we do not do anything about this consumer debt, we could be compromising the future of the young ones even before they start their adult life. When it comes to auto loans, the report is not encouraging either. According to the data published on CNBC.com, the average amount that is owed on a delinquent car loan is $737 to $3,042. By delinquent, we mean those that are 60 days past their due date. Although car sales have increased in the past year, most of them were financed by credit. By the end of 2015, the total debt almost reached $1 trillion – a scary figure considering the fact that cars are depreciating in value. If you want to buy something through credit, it is not really advisable to risk it on an expense that will lose value as soon as you drive from the dealers. Apparently, a lot of consumers are not really worried about this. And now, people are starting to lose their financial footing when it comes to paying back this loan. It is also scary when you think that a lot of the car loan borrowers have poor credit ratings to begin with. This means they are given higher interest rates to compensate for their poor credit score. The fact that they are being approved for the loan and are now being delinquent shows that we are being reckless once more when it comes to consumer debt. The combination of the student loan and auto loan problems should make us think twice about how we use credit. If we are not careful, we might end up borrowing more than what we can pay off. We might be leading ourselves into a repeat of the Great Recession. Of course, finding out the details of the consumer debt is not really enough. We need to aggressively pay down debt this year and we need to act on it now. Fortunately, this is a road that we have already traveled and triumphed in the past. If we were able to surpass the financial difficulties of the past, we can do so again. Here are a couple of tips that helped us before and can certainly help us with our debt situation again. Increase your debt payment fund. This is obvious. To get out of debt faster, you want to increase your debt payment fund. The more you can contribute each month, the faster you can pay off your debt. The faster you complete your payments, the more you will save in terms of interest and fees. Have a debt payment strategy. There are a lot of debt relief options when it comes to paying off consumer debt. You have debt consolidation, debt settlement, and credit counseling. You just have to know your options and understand your unique debt and financial situation. More than knowing the debt that you owe, it is also important to understand your payment capabilities. That way, you can choose the right debt solution that is best suited for your financial position and goals. Here are some tips that you may want to use as your debt payment strategy. Try to make one extra payment each year. If possible, try to make one extra payment each year. We usually get either a bonus, 13th-month pay or a tax refund. Try not to use any of these on other expenses. Instead, use it to make one extra payment each year. This will help you complete payments faster. Round up to the nearest high number. A great way to trick yourself to pay more is to round up your payment. If your monthly payment is $920 a month, make it $1000. That extra $80 each month will make a huge difference. Schedule bi-weekly payments. Instead of making just one payment each month, you will opt to pay every two weeks. If you make this your strategy, you will accomplish a couple of things. You will lessen the interest that will accumulate because payments will be applied often. This will also end up making you pay an extra week since there are 52 weeks in one year. This method will help you pay off debt a couple of months early. Dealing with consumer debt is tough but as long as you have a plan, you should be on the right track. Of course, your debt payment plan will only be effective if you can follow it until completion. Make sure your plan is realistic so you can stick to it no matter what. Here is a video of Dave Ramsey giving tips about how you can increase your income. He was talking to a caller who asked this question. Instead of giving her specific ideas, he encouraged her to find something that she loves to do and capitalize on that. It makes sense because if you have to exert more effort into increasing your income to pay off consumer debt, you want to do something that you love.